My daughter (10 yrs old at the time) designed and created this piece for the 2011 National Gingerbread House Competition at the Grove Park Inn. She placed 3rd. 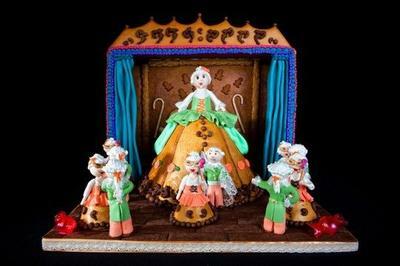 She created this during the time she was rehearsing for her part in the "Mother Ginger" scene of the Nutcracker ballet.